He was expecting a surge in ticket sales (as it always happens in Gary) by hosting a playoff game. One game can't make a season. Gary got the All-Star game - with some proper marketing, it could have been a lot better attended than it was. he never actually asked past season ticket holders if they wanted to renew their season tickets. BIG MISTAKE! This just boggles the mind. Did he need a losing business to offset some capital gains for his tax returns or something? Oh yeah! I forgot about the all*star game. Elkhart brought plenty of fans for their games with Gary, Elgin brought fans, Windy City, and I believe the Michigan teams brought fans too. Great opportunities to advertise the all*star game at no extra cost to the Steelheads. All wasted. Problem is that the Steelheads were counting on the city to help with advertising as the city has done in the past. The city didn't come through and the Steelheads obviously didn't have a sound back-up plan in place. Actually, the city has done its share. 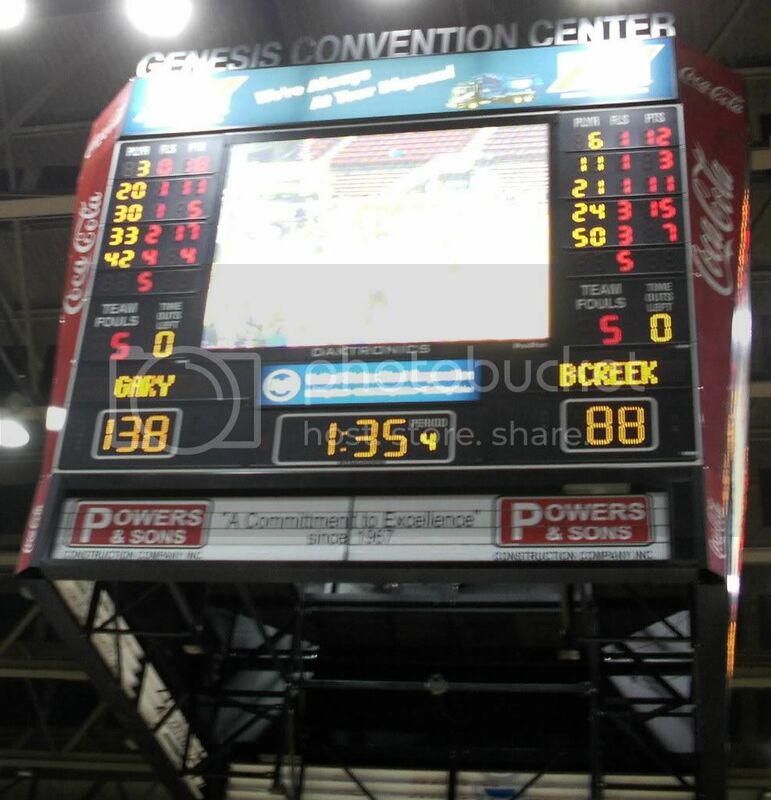 Years ago Gary bought that million dollar scoreboard for the Genesis Center at the bequest of the Steelheads. Bottom line is that no one in the ownership group took on the role of general manager. Boggles my mind also. Especially, since I know much more could have been done to market the team at minimal costs. Didn't the other team go over to the PBL and almost win a championship with the same coaching staff and almost the same team??? Ken, very nice. I did however take a look at how they could be so bad, then be so good with the same players and coach. This is what I found out. The game that you have on the score board was the first game that Sare was the head coach. The old coach was fired. I also know that Coach Baker was at that game supporting Sare. With that being said, the Coach was sending a message to the team about how things were going to be run with the new Coach. There were certain players that were being disciplined, and did not play. From what I see Rashi Johnson was the only player, that played in that game, that played for Battle Creek last year. I agree with you on most things, but not on this one. I am sure if your Gary team had played in the PBL they would have been very good. Did you ever get a chance to see BC play last year? I enjoyed watching them. I think NSF enjoyed them too.